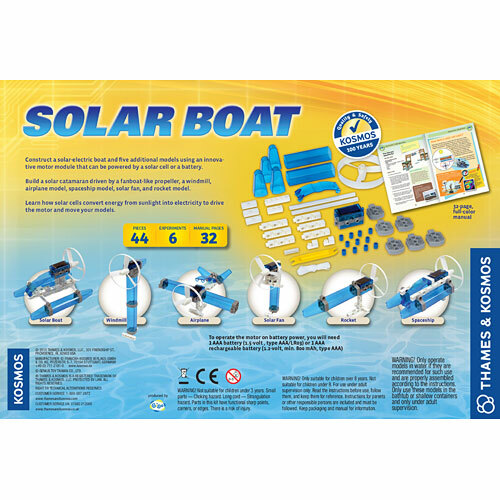 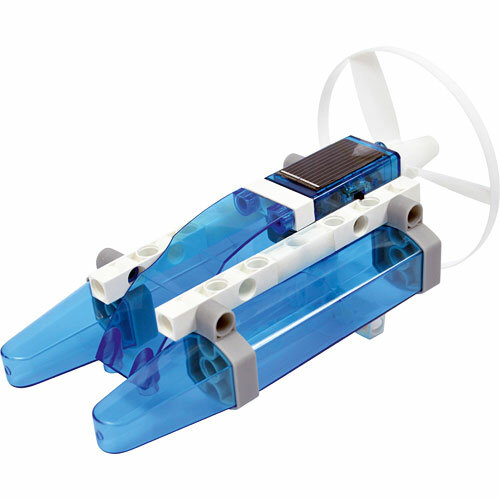 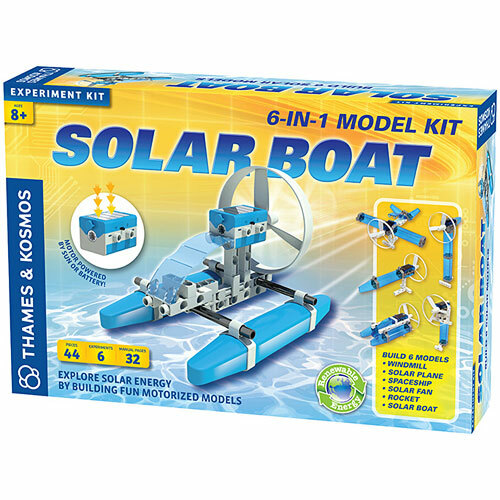 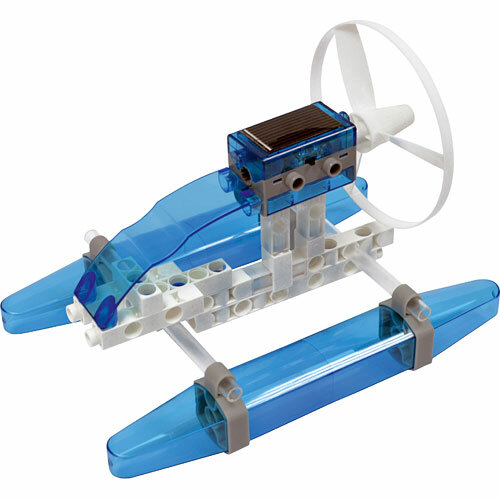 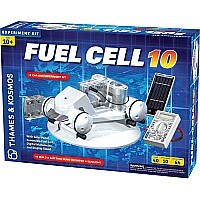 Construct a solar-electric boat and five additional models using an innovative motor module that can be powered by a solar cell or batteries. 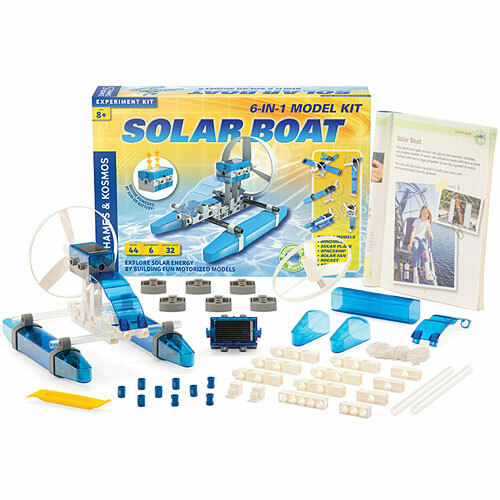 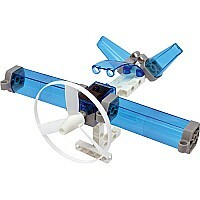 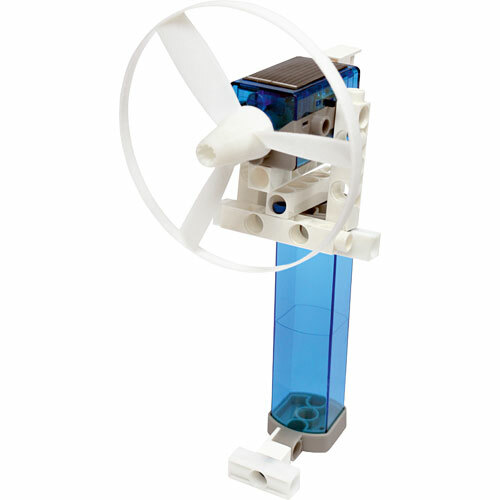 Build a solar catamaran driven by a fanboat-like propeller, a windmill, airplane model, spaceship model, fan, and rocket model. 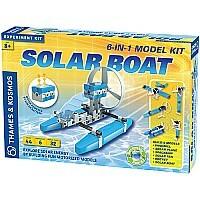 Learn how solar cells convert energy from sunlight into electricity to drive the motor and move your models. Full-color, 32-page color instruction book. 40 building pieces.